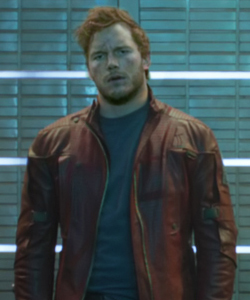 Peter Quill. 사랑 the look on his face xD. Wallpaper and background images in the Guardians of the Galaxy club tagged: photo marvel peter quill guardians of the galaxy 2014. This Guardians of the Galaxy photo might contain 신사복 and 비즈니스 정장.